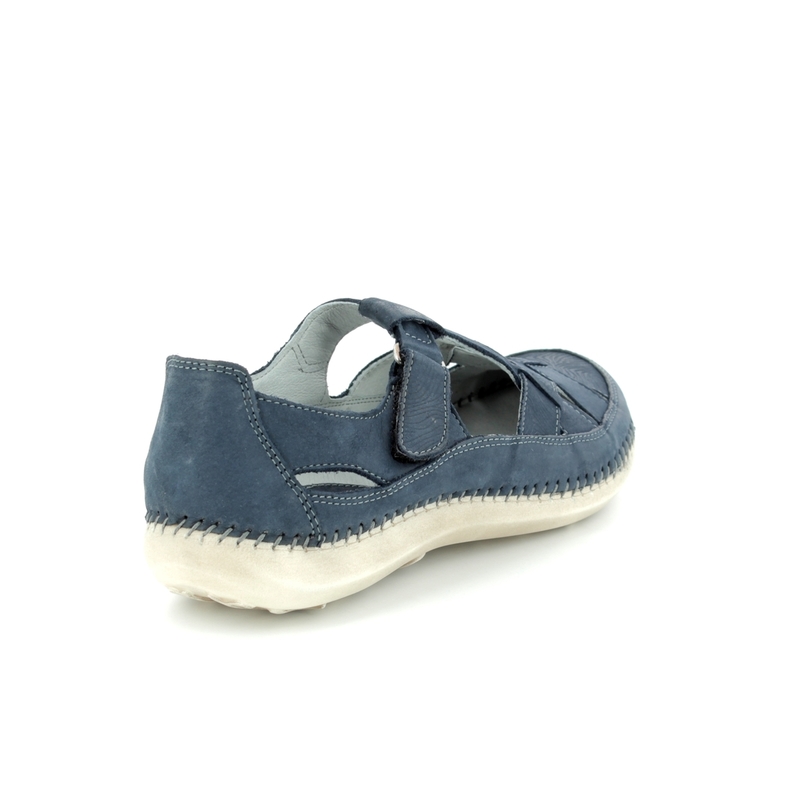 Walk in the City brings us 7105/16030 DAISLAT a fantastic navy comfort shoe that is perfect to wear in the summer or when away on holiday. The upper is made from soft leather with the lattice work design emphasised through the combination of textured and smooth leather layers. The woven design creates cut-out areas which allow increased air ventilation to the foot to help keep your foot cool in warmer temperatures. The T-bar style straps are fastened on the ankle using a hook and loop closure for an adjustable and secure fit while wearing. The upper is attached to the sole using stitch construction which makes the shoes more flexible and responsive to the movement of your foot. 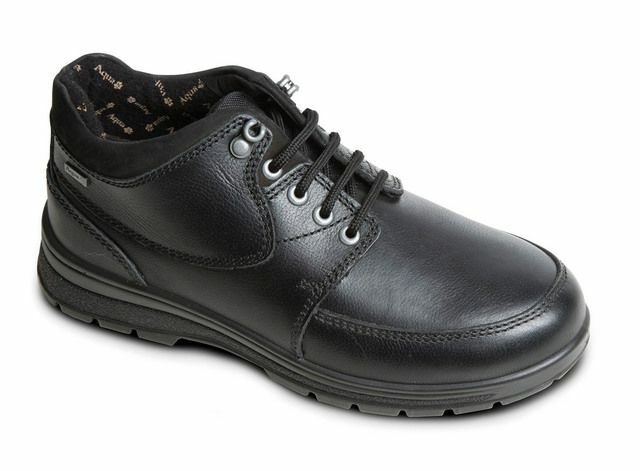 The sole is made from a synthetic material that is very light which helps to reduce foot fatigue while walking. The heel height measures 2 cm. 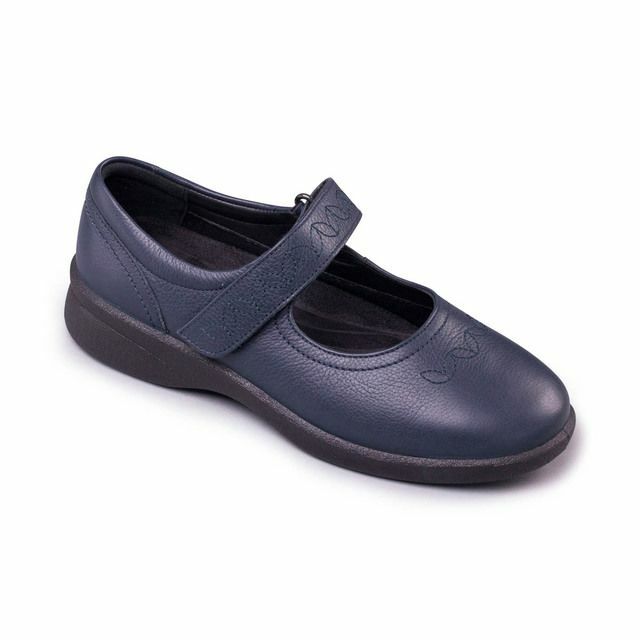 Buy your Walk in the City women's comfort shoes from Begg Shoes, an official Walk in the City stockist.